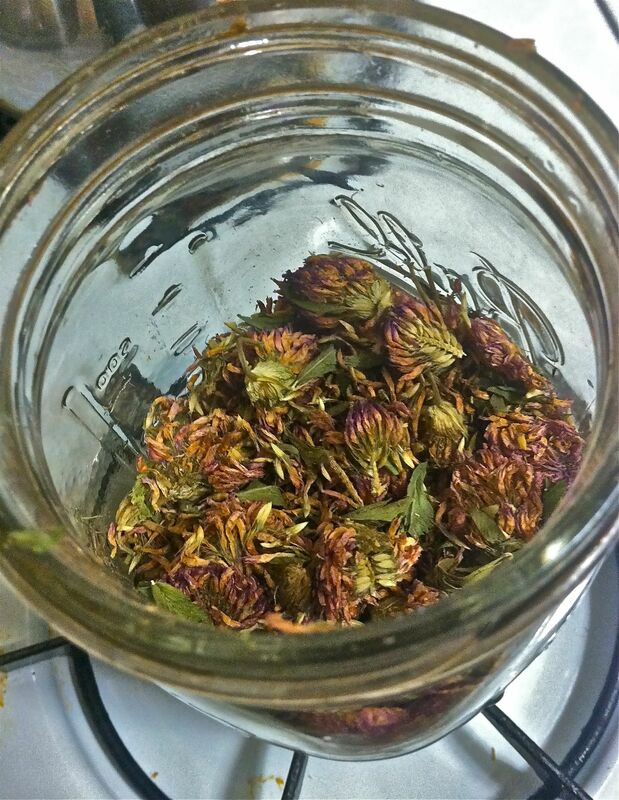 Click here for our pocket-sized Guide to Making Nourishing Herbal Infusions! Nourishing Herbal Infusions offer copious amounts of vitamins and minerals in a highly absorbable form. Infusions are simple and affordable to prepare and offer additional benefit as part of a daily self care ritual. Tea is usually made with a teaspoon of herbs, steeped in a cup of water for 3-5 minutes. 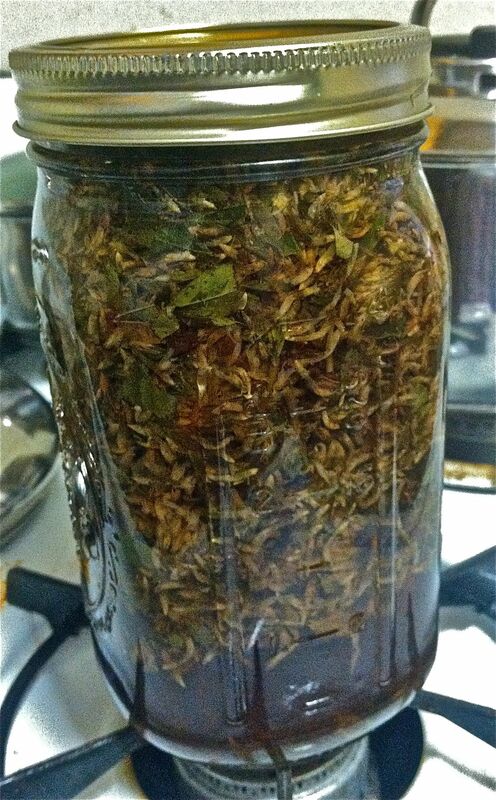 Infusions are made with an ounce of an herb, covered and steeped in a quart of water for 4-8 hours. It takes at least 4 hours to extract the minerals from a plant with water. A cup of Nettle tea contains approximately 3 mg of calcium; a cup of Nettle Infusion contains around 300 mg of calcium. 1. 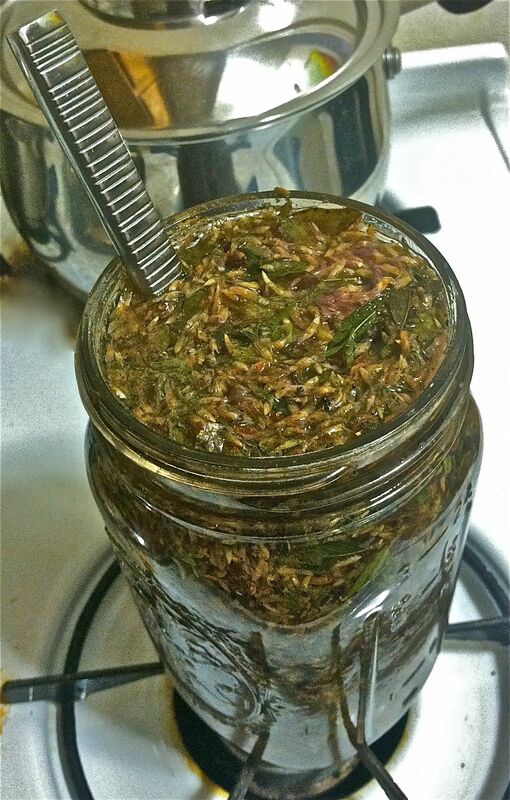 While boiling enough water to fill a QUART jar, (with a lid) measure ONE OUNCE of dried herb, TWO OUNCES of roots (Use a scale for accuracy.) Add to jar. 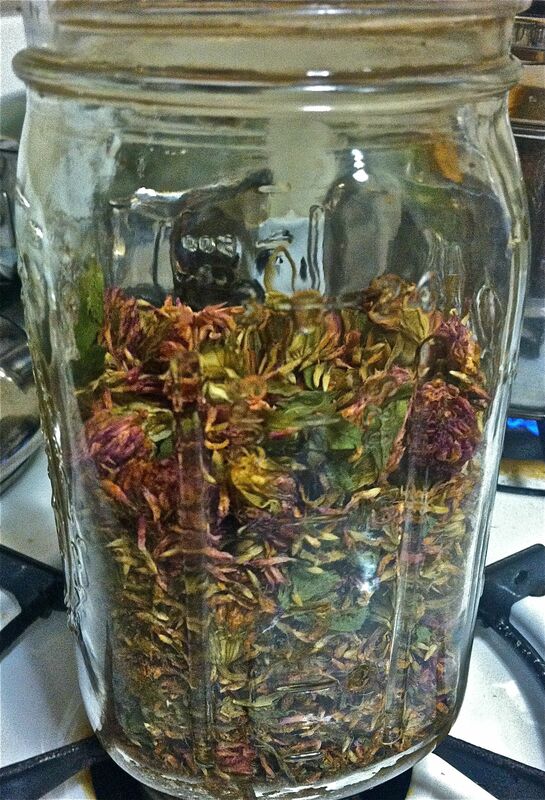 Note: 1oz often equals 1 cup, but as you can see with a fluffier plant like Red Clover (Trifolium pratense), you need more than that. The scale helps. 3. Tighten lid. Allow to steep at least 4-8 HOURS. 5. Refrigerate and drink within 2 - 3 days. Add remaining wet herb to the ground outside, compost if possible. 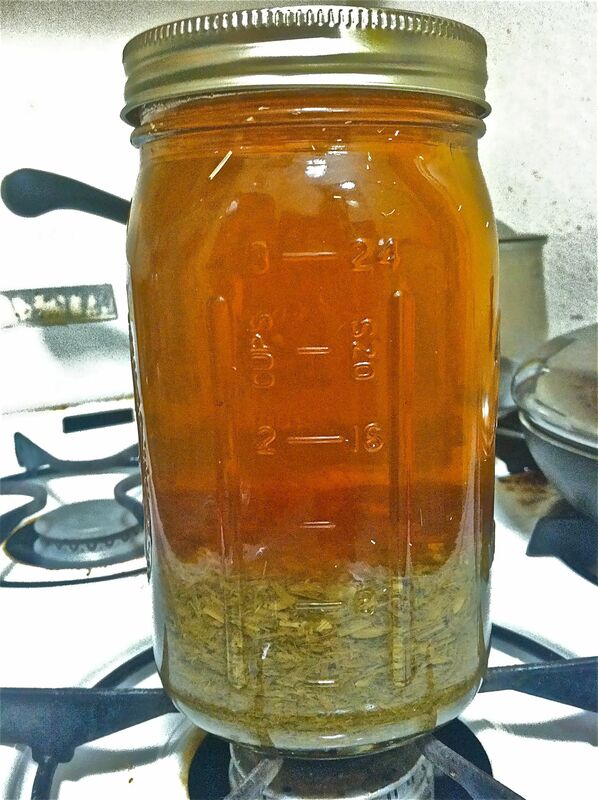 Double Brew method: Some herbs require a second infusion. 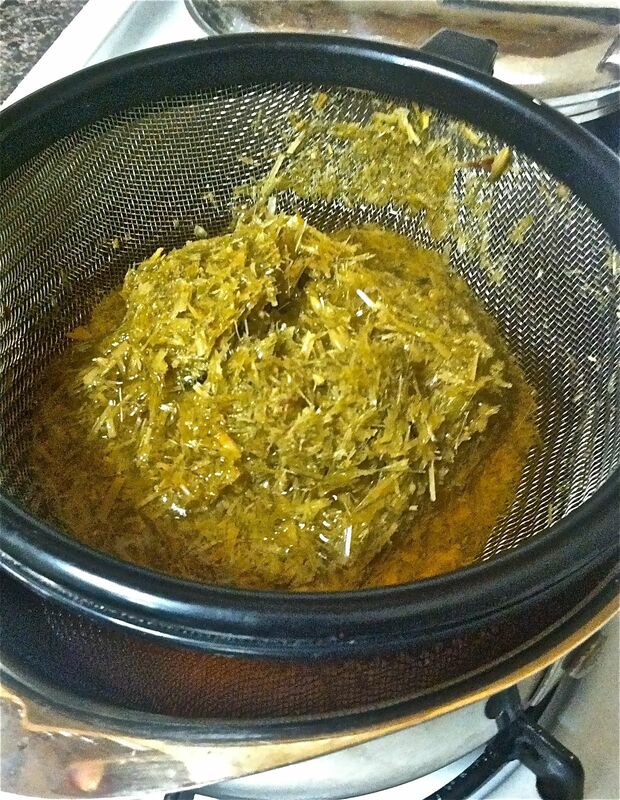 Follow the above directions, and instead of squeezing the herb, pour through the mesh strainer. Drink right away or refrigerate. Put the wet herb into a pot with a lid, add 2 cups of cold water. Cover and bring to a boil. Turn off heat, and infuse for 4 hours. Squeeze over mesh strainer. 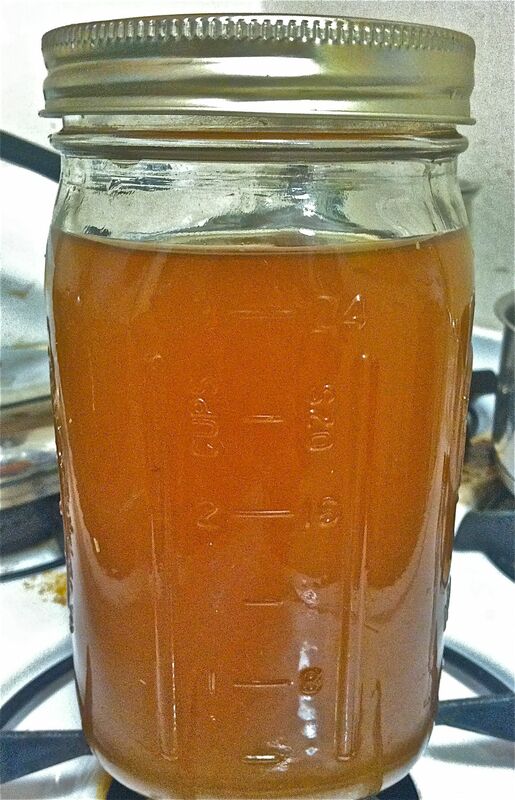 Pour into a separate jar or add to the first brew. Drink within 2-3 days.